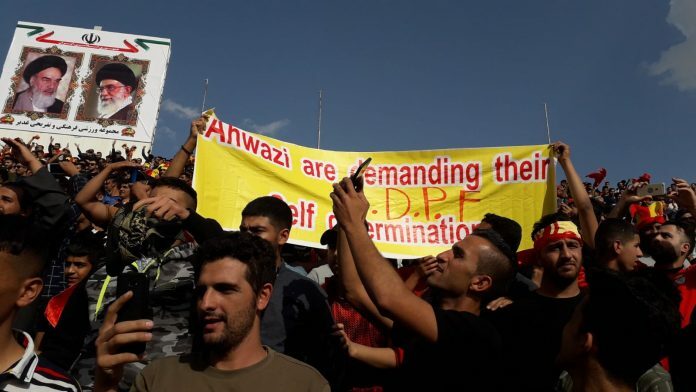 Home Ahwaz A Banner Held Up by Ahwazi Activists; Ahwazis are Demanding their Self-Determination. The brave Arab people of Ahwaz, sons of our glorious Arab nation made us prove again for raising a banner; Ahwazis are Demanding their Self-Determination. Ahwazi people held up a banner in a Football match to criticize the Iranian government’s human rights abuses and discriminatory against Ahwazi people. Ahwaz has been under Iranian occupation for more that 3 decades. 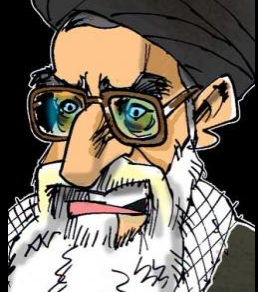 Iran has been violation human rights in every way and anyway possible. Since Iranian occupation in 1925 Iran started executing and persecuting activist in the Arab nation of Al-Ahwaz (nowadays know as Khuzestan).